I am trying to get everything in order for when we get the NOA2. 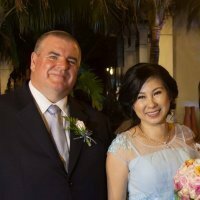 My mother lives with me (USC)and is willing to assist me with sponsoring my husband. So here is my question. 1. Her being listed as a household member and combining income. 2. Her joint sponsoring him? Either way with her help the income will be sufficient to meet requirements in both scenarios. The simplest and clearest way is for both of you to complete an I-864 (assuming mom meets the income requirement). So I would fill out I-864 with myself, my hubby, and 2 kids and because I am right at the line for a family of 4,she would do the same and just list her and my hubby as a family of 2, since she is single no dependants, correct? Yes, as long as her individual income meets the requirement for 2. The sponsor obligation is the same with both forms. You can have mom do the 864a and combine with you if you are a bit short. The two separate 864's are just clearer for the officer evaluating the forms.